Aunty had to go to work today, but I had a day off. The sun was shining, even if the wind was a little chilly, so what could I do? I asked myself, and as there was no one else to answer I had to answer myself. Newport Wetlands Reserve was the answer. Gathering the camera and the binoculars I set off on my intrepid journey all the way to Newport. OK it’s not as impressive as it could be! But 15 miles is 15 miles, and more important it was outside. 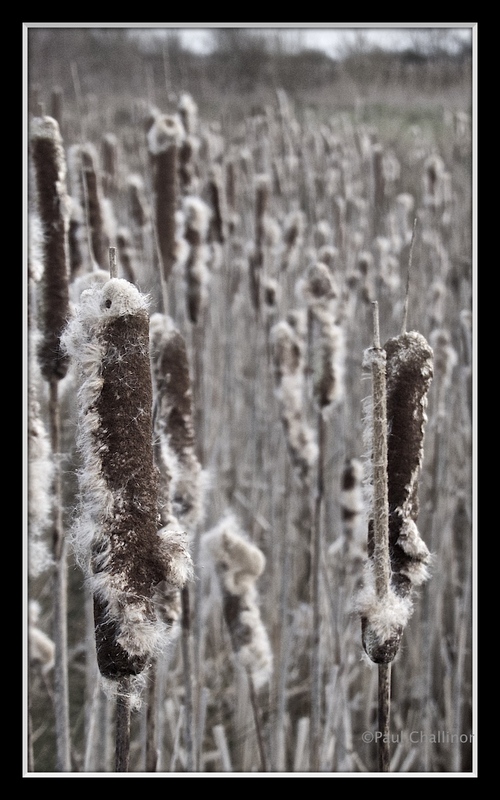 Bullrushes at the end of a very wet winter. The Newport Wetland Reserve is run by the RSPB and Newport Council. It’s a great place for a cup of coffee, with the cafe overlooking a small lagoon, surrounded by bird feeders. The reserve itself is located right on the shore of the Severn Estuary next to the mouth of the Usk River. It was created from the old ash pans of the coal fired electricity station. The clever people to design these things have created a series of large lagoons surrounded by reed beds, along with small coppice areas. It’s a fantastic place, with easy access for all, but more importantly it has a wide variety of wildlife that has taken ‘root’ in the old industrial wasteland. So after a pick up mug of coffee, but no cake (even though Aunty may not be there, I always get found out!) I set out for a long slow walk around the reserve. This bit is where I become a little selfish. On my own I’m able to take as long as I want as I amble around the paths, without the long drawn out sighs that often emanate from Aunties lips! 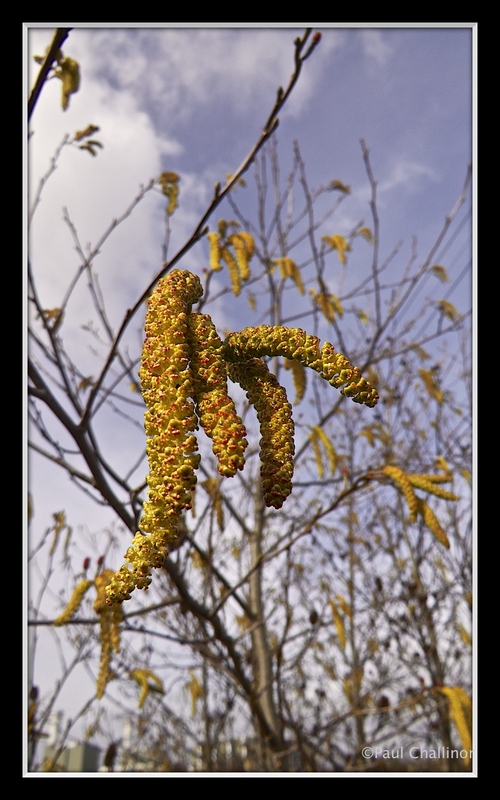 The Alder and Hazel trees are now full of catkins, heralding the arrival of spring. At one end of the reserve the power station is still functioning, part coal, part gas. The heavy machinery can still be heard, but in reality it doesn’t intrude as you walk around the western end. The large electricity pylons act as perches for a variety of birds. I’ve often seen a kestrel using them as a staging post before starting their hunt. In the winter, they also act as meeting place for starlings before they start their murmuration display before settling down in the reeds for the night. 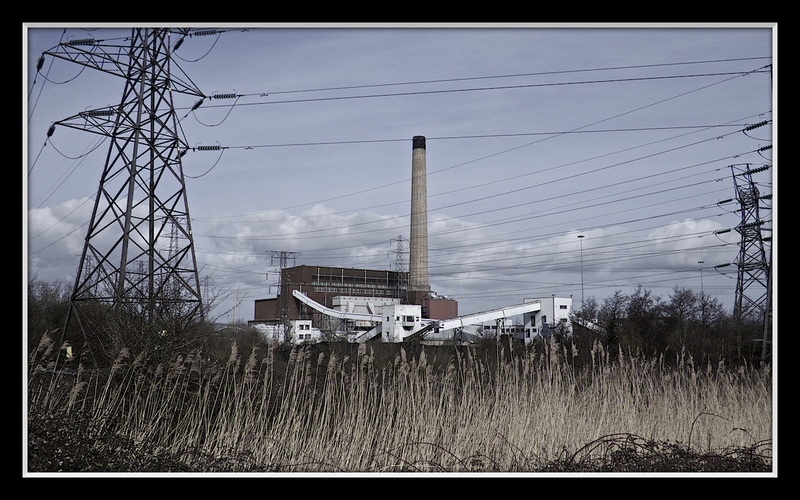 The coal power station which was responsible for creating the ash pans on which the reserve is founded. The first spring flowers are starting to come through. 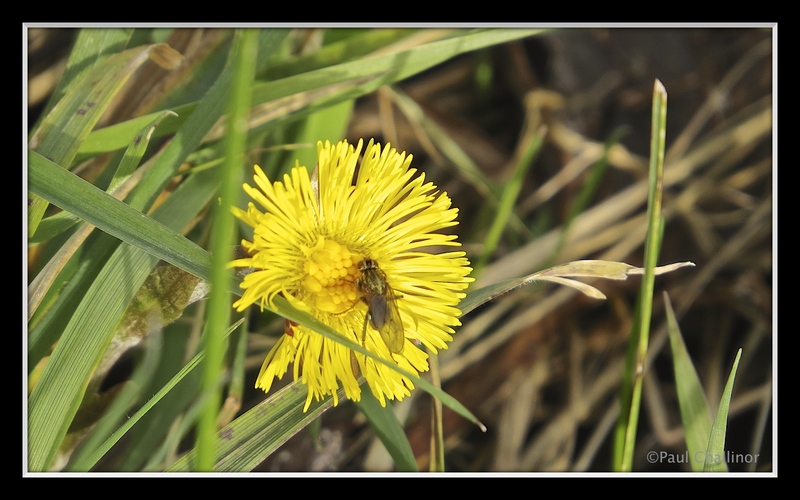 I came across a small group of coltsfoot near the path. Tussilago farfara, commonly known as coltsfoot, is a plant in the family Asteraceae that has traditionally had medicinal uses. However, the discovery of toxic pyrrolizidine alkaloids in the plant has resulted in liver health concerns. The name “tussilago” itself means “cough suppressant”. The leaves, which resemble a colt’s foot in cross section, do not appear usually until after the seeds are set. Coltsfoot flower. A delicate yellow daisy like flower. I don’t know what the fly is yet. But we’ll call him Fred for now. Near the coastal edge of the reserve there is a small lighthouse that marks the eastern bank of the river Usk. It was built in 1893 by Trinity House, and is one of a pair that guard the mouth of the river. The Eastern lighthouse sends out 2 flashes every 10 seconds. 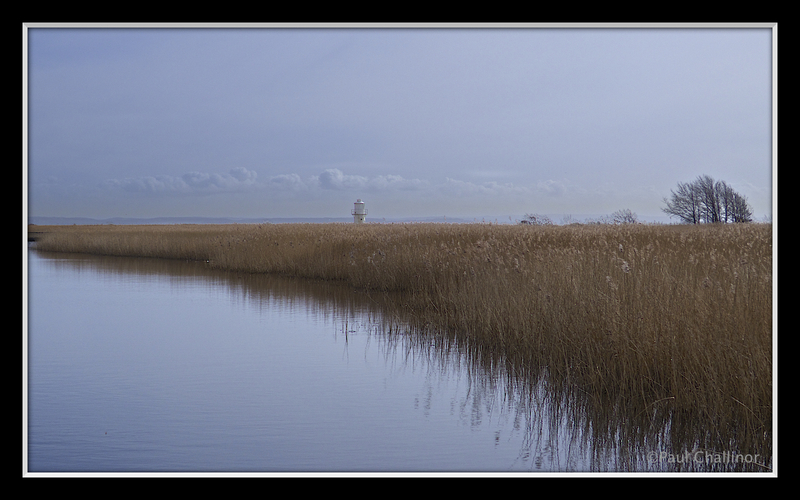 East Usk Lighthouse appearing above the reed beds. Its possible to stand next to the lighthouse. The West Usk Lighthouse was designed by Scottish architect, James Walker! And was built in 1821. It is now a bed and breakfast, with what must be fantastic views over the mouth of the river Usk and the Severn Estuary. West Usk Lighthouse on the other side of the Usk River. Now a bed and breakfast. 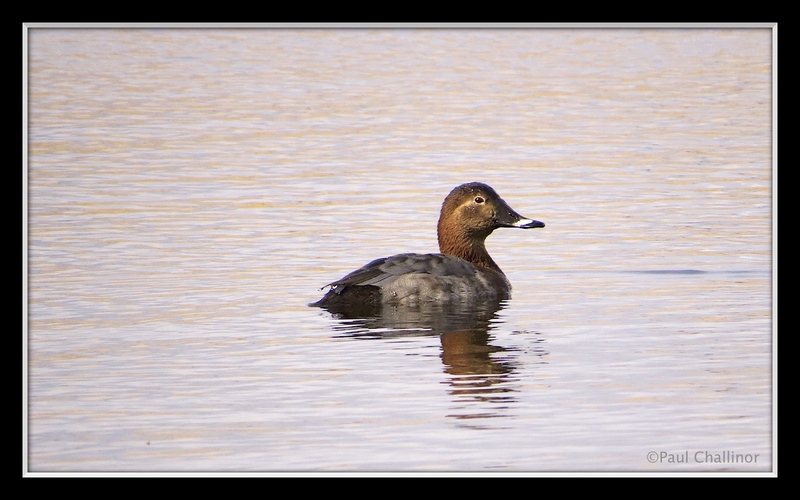 Finally just to show that this is a Wetlands reserve I’ve included a couple of photos of birds. 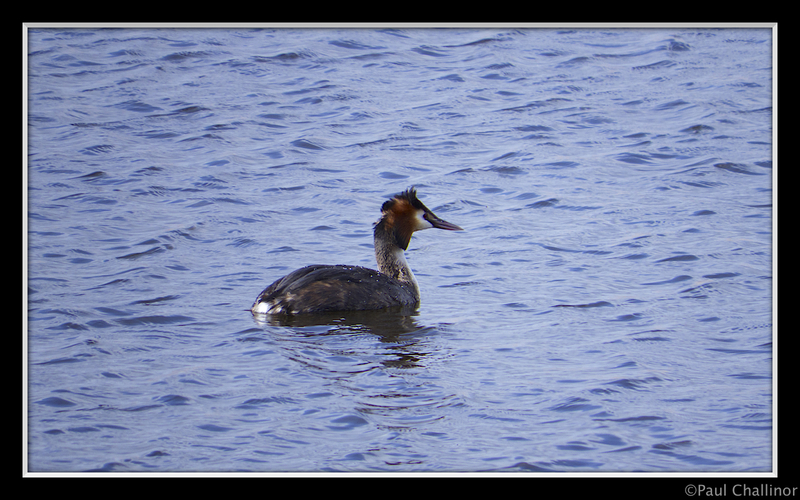 The great crested grebe was alone without and sign or a mate. I am hoping to one day catch the courtship display which can be fascinating. 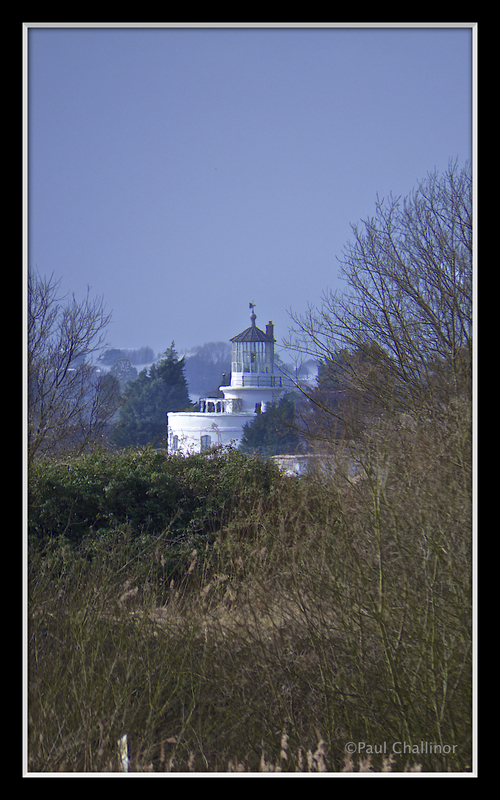 I particularly like the photo of East Usk lighthouse. Thanks Jane. There’s something about lighthouses that makes them photogenic.